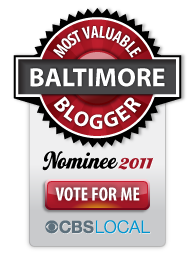 If you're here after seeing me on this morning's segment about gifts for Dad on Baltimore's WBFF Fox 45 I want to take a moment to welcome you and say how honored I was to represent one of my favorite websites, TopCashBack.com and share these products with you! TopCashBack.com is an awesome way to earn cash back on your purchases that I highly recommend and support. They have the highest payouts and best customer service ensuring your experience with them is always perfect! I love getting money back on my online purchases and so will you! TopCashback has partnered with a wide range of stores to offer discounts on your online shopping. When you shop via their partner stores, they will pay a commission for your purchases. Your TopCashback account will be credited and so long as you don't return the goods they will be able to pass this commission onto you as 'cashback', Easy! Get a bonus on your cashback rebate when requesting payout by Amazon.com Gift Card or American Express® Rewards Card. Free payouts through ACH, PayPal, Amazon.com Gift Card and American Express® Rewards Card. Be paid whenever you choose. No minimum pay-out threshold. Incase you missed here, here are the products featured! If Dad is in the market for a new laptop, HP has some amazing offers on new desktops, laptops, smart devices and more. 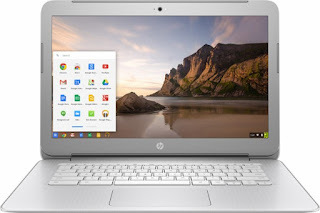 Check out the HP Chromebook, which is great if you need something for both home and office-use at an affordable price! This HP 14" Chromebook comes with an Intel Celeron processor, 4GB Memory and 16GB eMMC Flash Memory. Best part, it's only $249 at Walmart.com and you will earn 3% cash back! Looking for another device? TopCashBack also has tons of opportunities to earn cash back on your electronic purchases from Best Buy, Amazon, Target, Dell, and more! 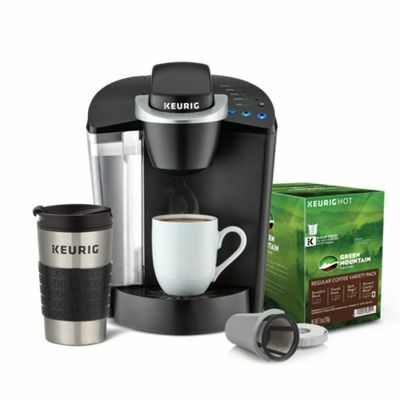 K55 Father’s Day Bundle is perfect for every coffee loving Dad! Comes with a coffee maker, green mountain variety pack, a k-cup reusable filter and a travel mug; this specific bundle can only be purchased through TopCashBack.com earning up to 8% cashback at Keurig.com Price: $114.99 (savings of over $40!) Other Keurig machines can be purchased via TopCashback at Bed Bath and Beyond, Kohls and Walmart! KettlePizza Gas Pro is a must have accessory for those pizza loving Dads out there. 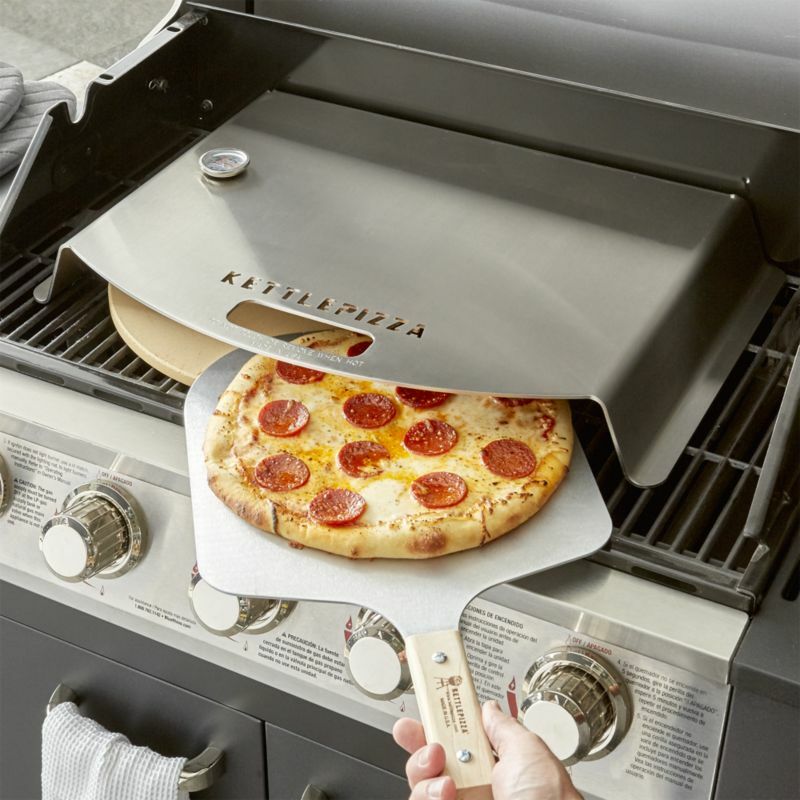 The KettlePizza transform grills into high heat pizza ovens. Easy to use, no assembly required. Fits most gas grills with 3 or more burners. Price varies, can be purchased online at KettlePizza, Walmart and Amazon. Starts at $200 for different models. If you purchase it at TopCashBack.com through Walmart.com you will earn 3% back on this purchase! The products I showcased today are just a few of the THOUSANDS of products you could earn cash back on through over 4,000 retailers! Products featured were complimentary for testing purposes. This post contains affiliate links. We LOVE everything we can find that is super cute and kawaii so of course we loved these watches right away! With the press of a button the time pops up or can easily be pushed back down to protect it. Setting the time is as simple as two buttons on the side of the pop up! 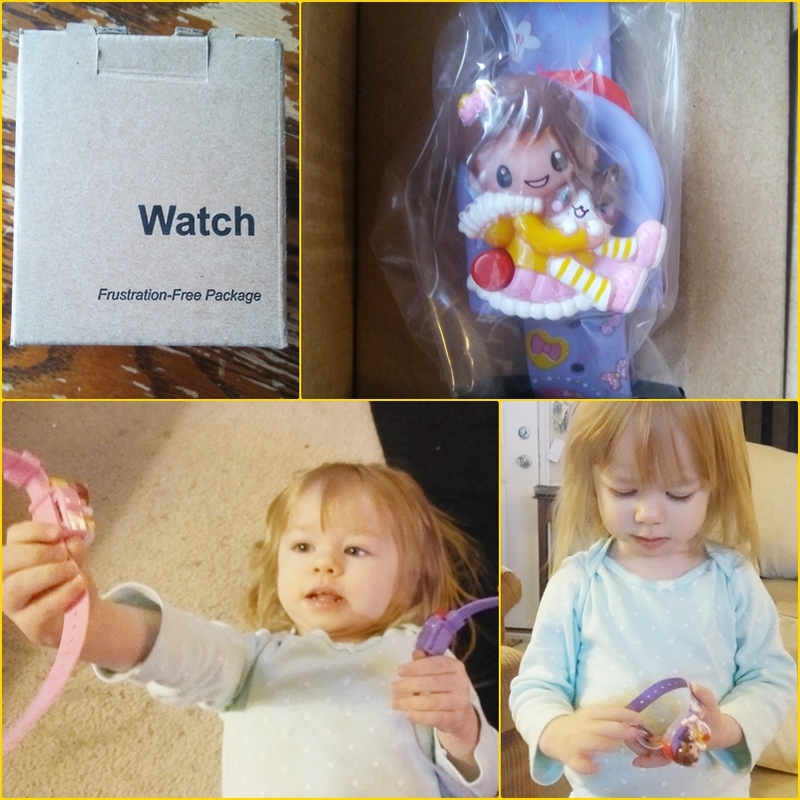 Made of quality rubber and plastic these watches are fun and durable for girls of any age! It just as easily fits me as it fits my 2 year old! 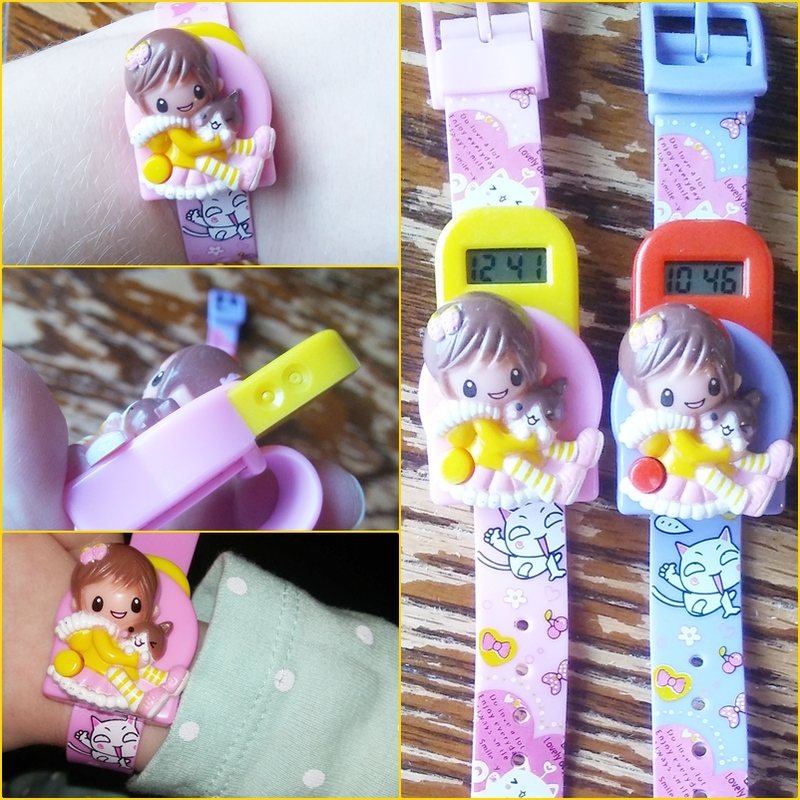 Available in Pink and Purple both have the same adorable girl design, anime style cat on the band and clear easy to read pop up digital clock. I also LOVE that they come in frustration free packaging! It made opening them super easy when you have an impatient toddler that cannot wait to see what came in the mail for her! I can't wait to both wear one and match! Such a cute Mommy and Me idea! I let her pick which one she wanted, and she decided on the pink for her and the purple for me! Get the PINK one here! Get the PURPLE one here! Right now they are both priced at only $9.99 and they both ship FREE with Prime! Disclosure: Both were bought with an incredibly deep discount in exchange for sharing. If you purchase through my affiliate links I may earn a few cents from the sale that goes to the upkeep of this website! LET'S GO O's! Excited for another season? against the Toronto Blue Jays! Family days spent at the ballpark are always a great time! 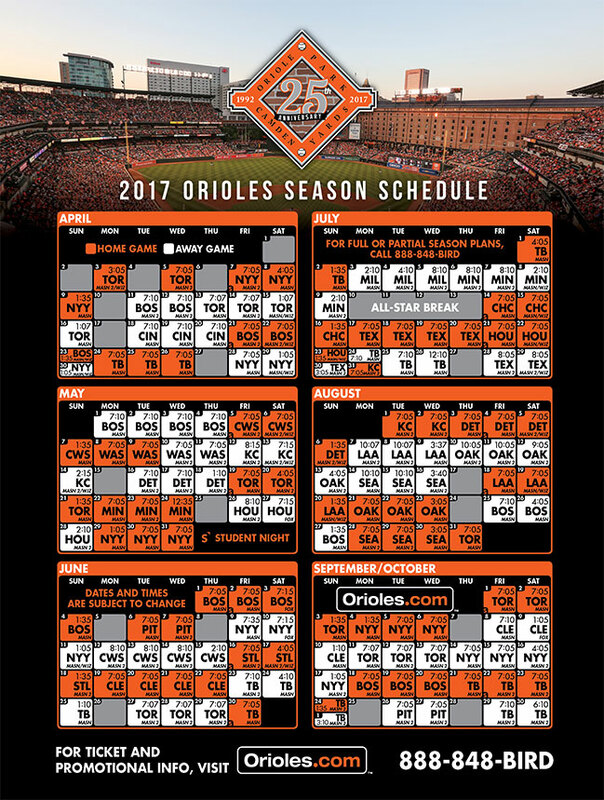 Right click the image to save this official schedule to your computer for reference or to print later! If you have children who love baseball as much as mine make sure to also inquire at the ticket office about the dugout club! For less than $30 your child gets tickets to a certain amount of predetermined games, special giveaways at those games and a package mailed to your house FULL of awesome Orioles swag! Last year Elijah got a messenger bag, a hat, a lanyard, sunglasses and more! It's totally way more value then what you pay! 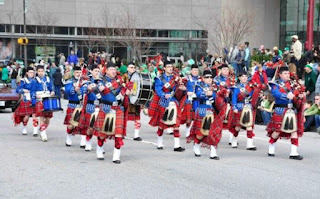 This Sunday, March 12, 2017 head downtown for the 62nd Annual Baltimore Saint Patrick Parade and the Shamrock 5K Race. Join tens of thousands of marchers, runners, and spectators celebrating and a day of family fun. 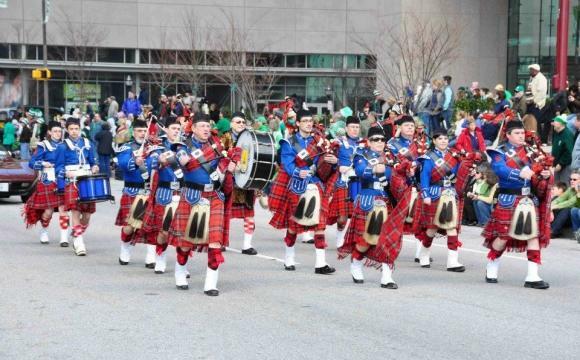 The Shamrock 5K Race kicks off at 1:15pm at Charles and Franklin Streets and the Saint Patrick Parade at 2:00pm from the staging area by the Washington Monument, proceeding south on Charles Street. Official Parade Mass at 10:45am at the Baltimore Basilica. 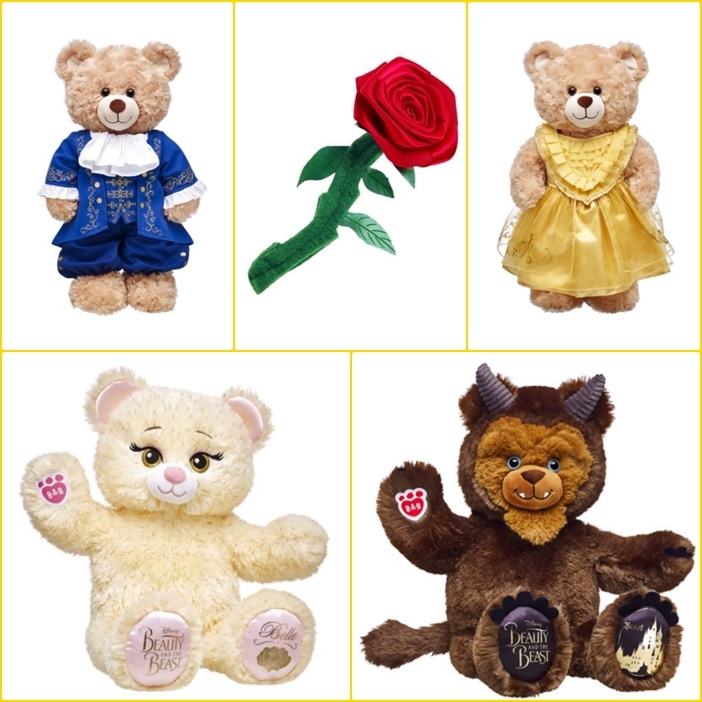 I have been super excited to see with the new live action Beauty and the Beast how much new and adorable merchandise has been released! These new Build-A-Bear characters are definitely one of my favorite things so far! Belle and Beast bears both are super adorable and detailed. The foot pads are special designs with the Beauty and the Beast logo on one and a special image to represent the character on the other. The collection also includes two different Belle dresses, her heels, a Beast ballroom outfit, and even the enchanted rose! I can't wait to take Ariel to get her a Belle! See the collection at your local Build-A-Bear or on their website! While you're waiting for the new movie you can also buy the original on Amazon Instant Video right now for only $14.99! This post contains amazon affiliate links. If you buy through my link I may earn a few cents from your purchase that I use for the upkeep of this website. 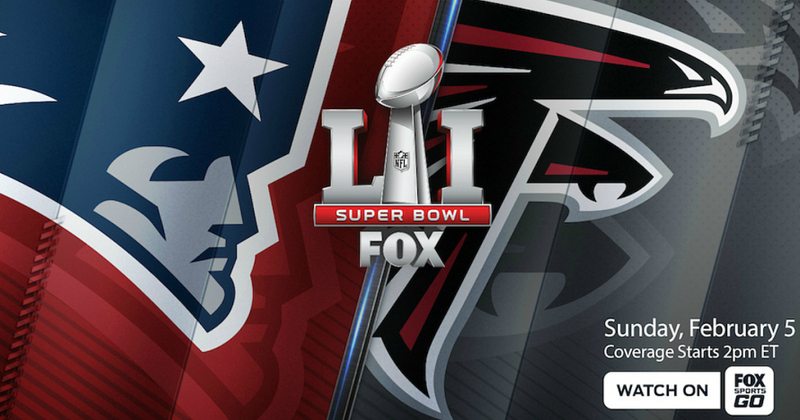 Roku users: Watch Superbowl 51 FREE on Sunday! If you have a Roku streaming device instead of cable and are bummed about missing out getting to watch the Super Bowl you are in luck! Tomorrow, Sunday, February 5th, you can stream Super Bowl 51 for FREE in real time! The FOX Sports Go channel typically needs a TV provider log-in, but tomorrow only the channel will be unlocked for you to enjoy the big game!!! The entertaining Halftime show with Lady Gaga!!! Check out Roku's official post about it here. When I am talking to people who want to scrapbook but don't their biggest reasons why are usually time and money. Since I have been doing this forever I have found so many creative ways that take under an hour and basically follow the "use what you have" mantra to quickly capture your time at an event. 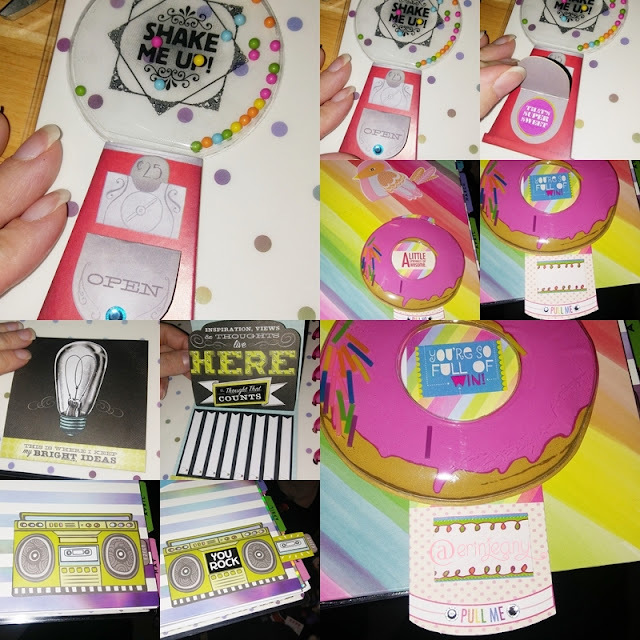 Today I am going to show you a quick and easy event scrapbook made using the actual events program. 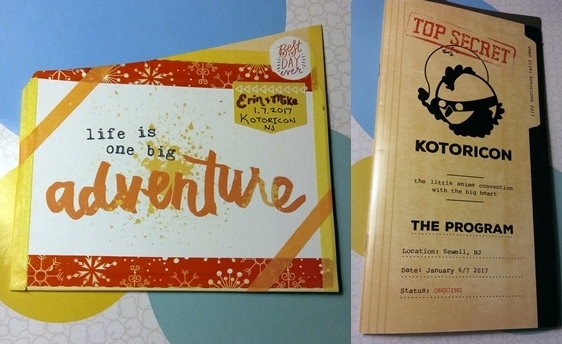 In January Mike and I went to New Jersey for a little anime convention we had never been to, Kotoricon. KotoriCon, the "little anime con with a big heart" is hosted by the Japanese Anime Guild at Rowan College at Gloucester County. We had a blast and highly recommend it. It was small, but packed full of all the wonderful things we look for in a good anime convention. Wonderful voice actor guests with no lines for free autographs and selfies, informative and fun panels as well as tons of great artists and vendors in the dealers room. The parking was free and the registration was very affordable making this a great 'day trip' con that will not break the bank. One of my favorite parts of going to the anime conventions is that we get to meet the voice actors and get autographs and photos, the problem is we go to so many I needed to come up with a creative and fast way to showcase a quick overview of what we did there before I forget all the fun little details. The best way I have found is using the events programs! The first thing I did was the pocket. 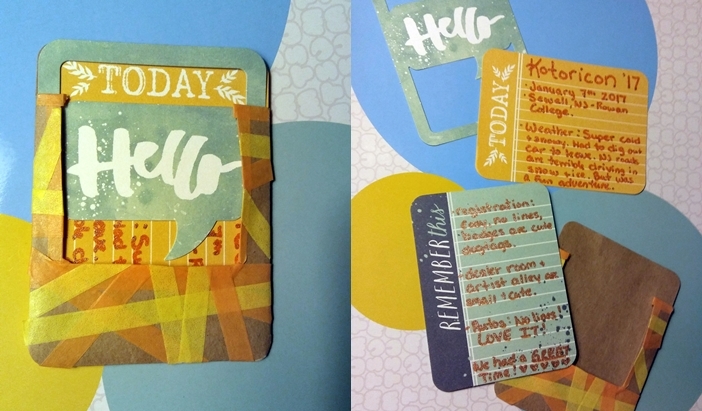 I used a glue stick and attached a large Project Life card to the front and then went around the border with some washi, adding some stripes to the corners. 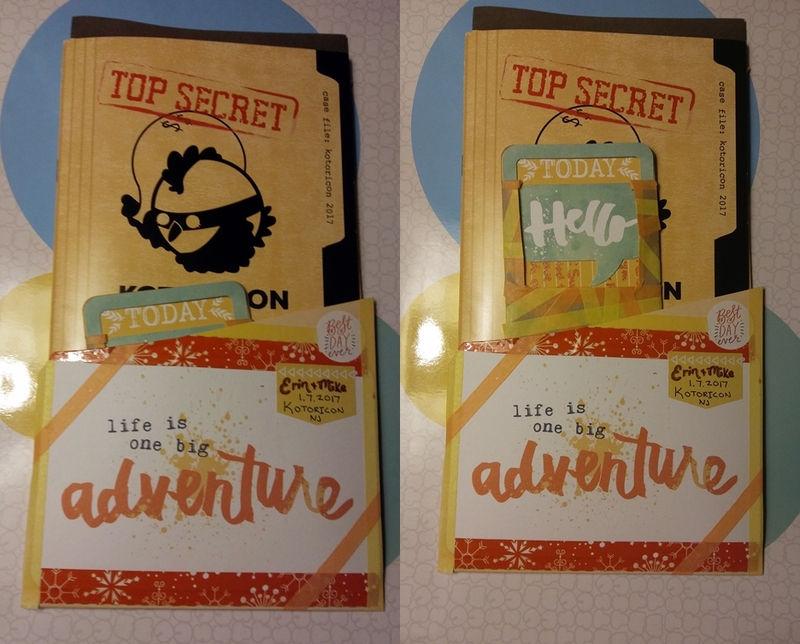 Then I added two stickers from one of my Happy Planner sticker books and wrote a little intro of what the event is. Next I took my project life cards and a piece of paper and made a small envelope to hold them and covered it with matching washi. 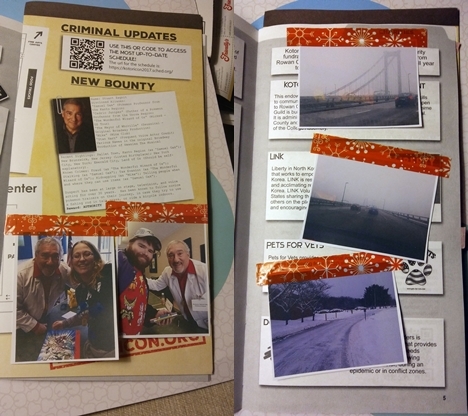 I didn't do a lot of journaling, just basic bits and pieces. Since I am using the program itself I didn't feel the need to document who we met and what we did, since it can be found inside! I loved how simple it all was yet how cute. It really came together fast, under a half hour up to this point. The only thing left to do was the photos! I went through and chose our favorite photos, especially a good one of each of us with each guest and some of them autographing our stuff. 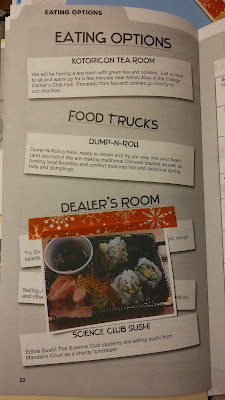 I also added in some photos of our travel and the snow and of course of our sushi lunch! 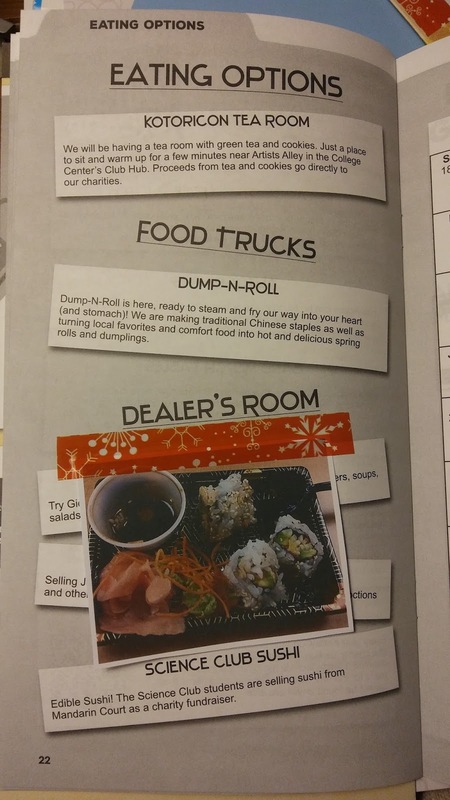 I did some very basic editing for color and then hit print on the folder so that it would bring up the options to arrange all the photos on one sheet for printing. I chose to print them all on 2 pages of photo paper using the "9 Wallets" layout, with fit to frame so they were all uniform sized and small enough to fit into the program. I then cut them out leaving a small white edge around each. I attached each one using only a single piece of washi at the top, allowing the photos to be flipped up to see the information below them. That's it! Simple scrapbook using the event program in under an hour with minimal supplies! I hope this inspires you to make some simple scrap events of your own! 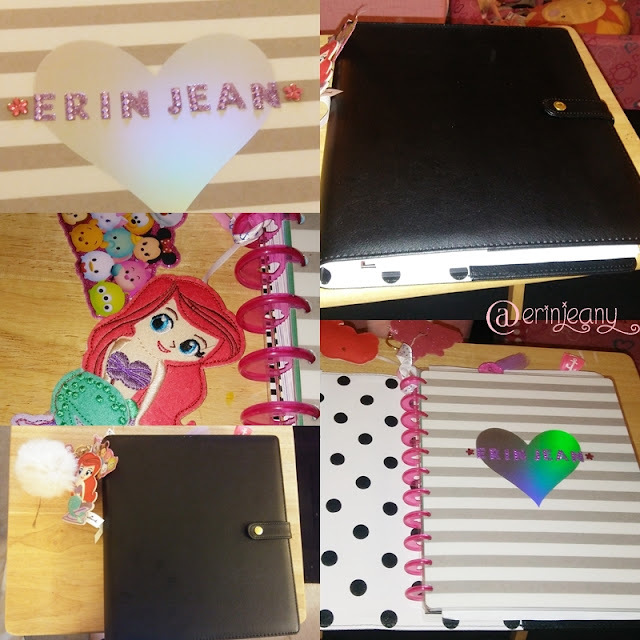 If you do, share them with me by tagging me on twitter or instagram at @erinjeany! Happy Scrapping! Hello there and Happy 2017!!! I've been keeping paper planners, compositions book journals and scrapbooks since the early 90s so even though this seems like the newest fad for most people it's something that has been old news to me for a long time. But since the online planner community is growing so large the last couple years I thought it was a good idea to start sharing mine on my blog as well! So back to the planner. 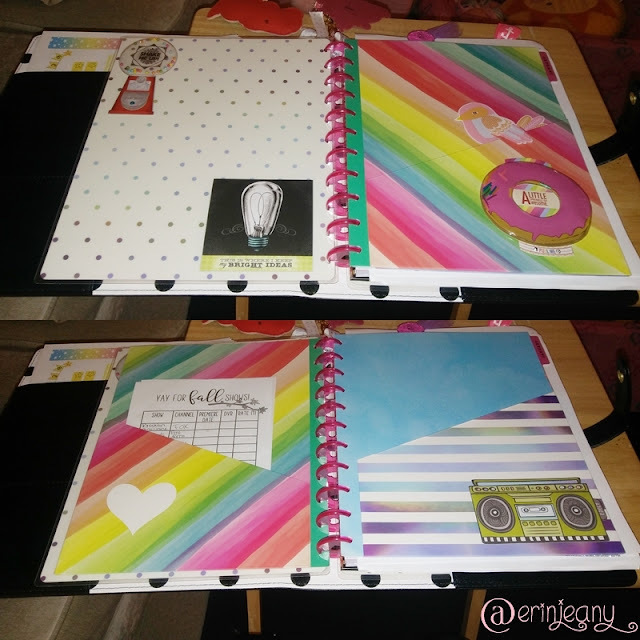 Happy planner are disc ring planners so they are not compatible with 3 or 6 hole punch accessories. They are compatible though with the Staples Arc product line. The big happy planner is 11 disks and pages are full size, which is great for what I am using it for this year. 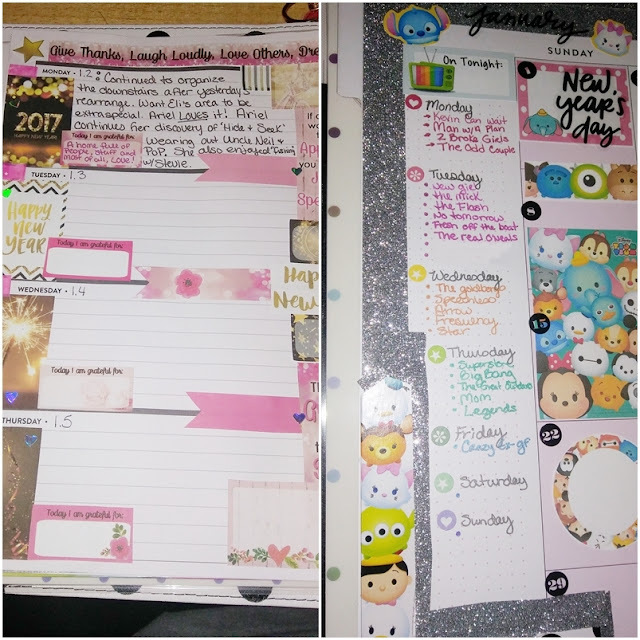 In previous years I have kept my journaling and planning seperate, using two smaller A5 or personal sized planners/comp books, but this year with the horizontal layout I decided to combine both into one, so I am using my monthly layouts more for planning and my weekly layouts more for journaling and memories. 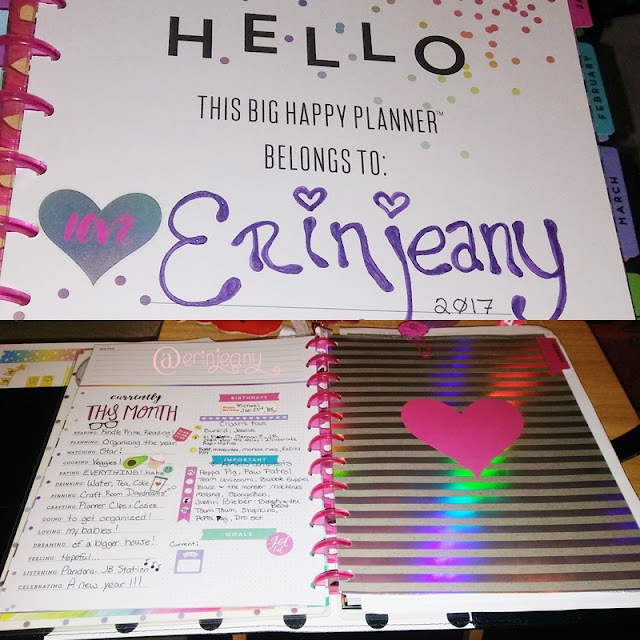 This is going to mean my planner is a little more crowded but overall I think I will be much happier (and organized) with this double use planner. So the first thing I did was a little bit of customization adding some cute keychains to the top disc using some ribbon I love. I could not be happier with my little fuzzy ball fox and that is definitely my favorite now! I also have a cute vinyl Tsum Tsum stack and a adorable Hallmark felt Ariel ornament, both that I found at Target. Then I added my name using adorable purple bling glitter alphas. I had bought this really awesome set of 48 gel pens earlier in the year so I am excited to use them with it. I also am seriously excited to use tons of my K&CompanySmash accessories. I have some left over from previous Smashbooks, but I also have a ton I was able to pickup during a Birthday shopping haul at Tuesday Morning where they had the supplies from .49 to 2.99. That was amazing! Each month starts with a little monthly fill in sheet and I decided to use mine a little different, keeping track of not only what my current interests are, but also both children. I kind of just quickly filled it out but next month I will come up with a better way to arrange it. I also need to put in my fitness goal info so I can track that monthly. I think reorganizing this page so I can use it to keep track of monthly info better will be really helpful using this as my planner and journal together. So far before the pen I have a Tsum Tsum theme for January's Monthly Layout and decided to use the left sidebar this month for my shows. I will definitely use it for something else in later months or even possibly cover over it this month, but I haven't decided for what yet and the white space was bothering me. I used packaging from tsum stuff I had bought, official tsum stickers that came with a Tsum stationery pack from Target's $1 spot, and Victoria Thatcher's Tsum Tsum kit. My weekly layout this week uses a combination of CDB Planner Prints New Years 2017 Gold Kit and Victoria Thatcher's Gratitude kit. I love the gold and pink together and thought the start of the new year was a great time to stop and think of all I have and everything to be grateful for. I will journal each day with a little of what I did and what the kids are up to. 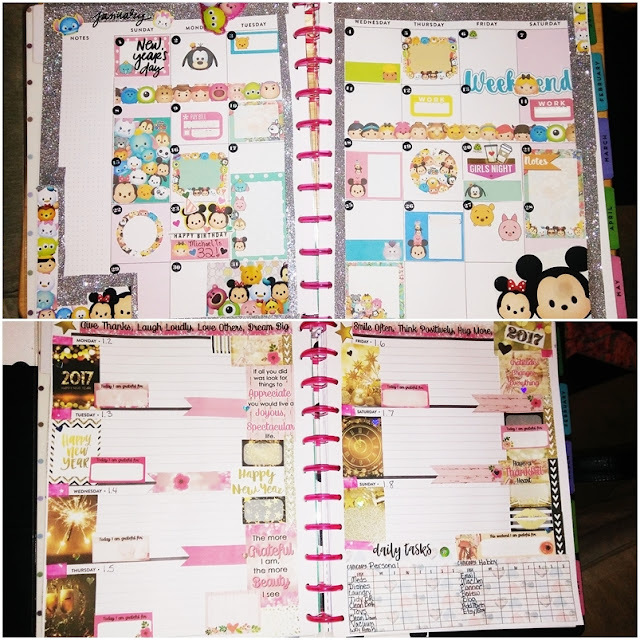 If we attend an event or something exciting I want to share, I will either add a scrapbook layout page into my planner or I will create a new scrapbook for the year. I haven't decided. 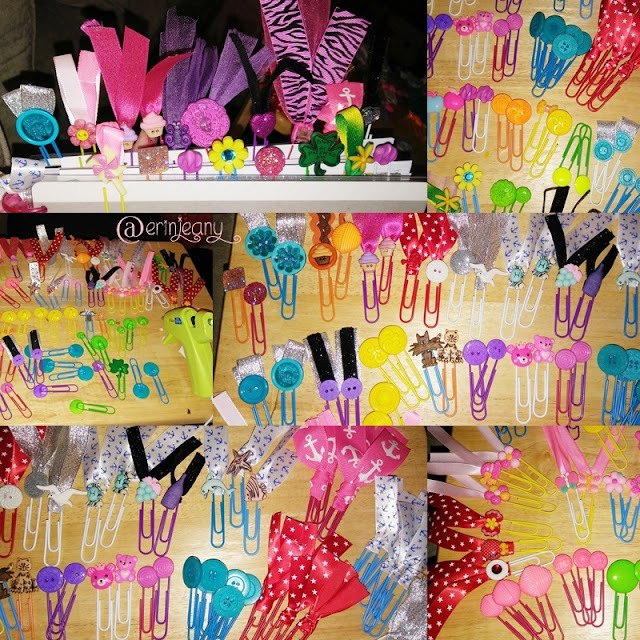 I also have been busy making planner clips for myself and that I will be listing on my Etsy Shop this week. Here's just a few of the adorable K&CompanySmash accessories I have started to use on my planner for this year! How cute are they! I also have a really adorable unicorn slider I will be adding this week! So far I like this year's planner and look forward to sharing more about it. Stop back in weekly to see my newest layouts. Follow me on instagram for daily updates @erinjeany and don't forget to subscribe to my blog via RSS or Email to keep up with all my posts! This post contains amazon affiliate links, anything bought from amazon using my link gives me a few cents commision on qualifying sales towards buying my children something new they want. So please consider using my links and thank you! I thought this was the perfect song to start off the new year. If you haven't heard it, I have included the lyrics below. This post contains an Amazon affiliate link, I earn a few cents from every purchase towards buying my children new things they want. Thanks!